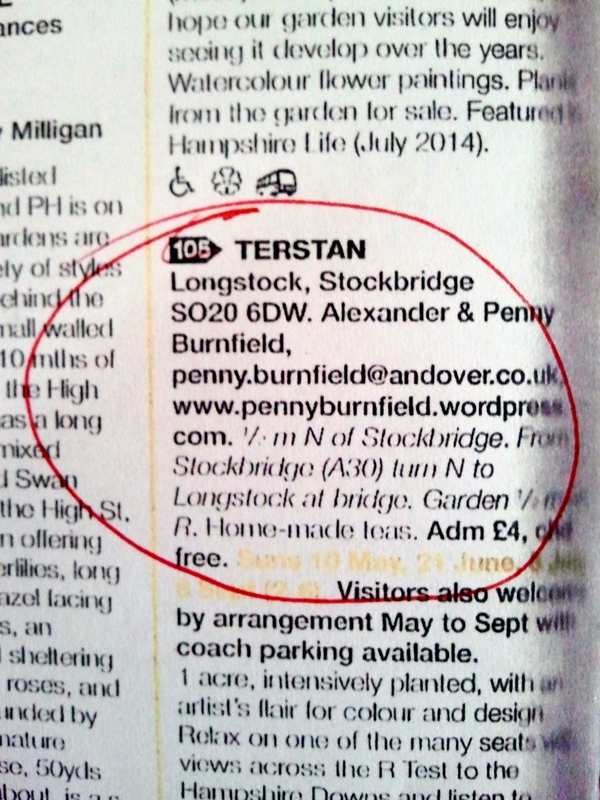 It’s always an exciting moment when the ‘Yellow Book’ arrives through the post, and good to see that our entry for 2015 is there, in print (page 246, if you want to know). We sent in our contribution in August last year, and sometimes it’s hard to remember what we wrote so long ago. Some people may be totally mystified and have no idea what I am talking about – so let me explain. 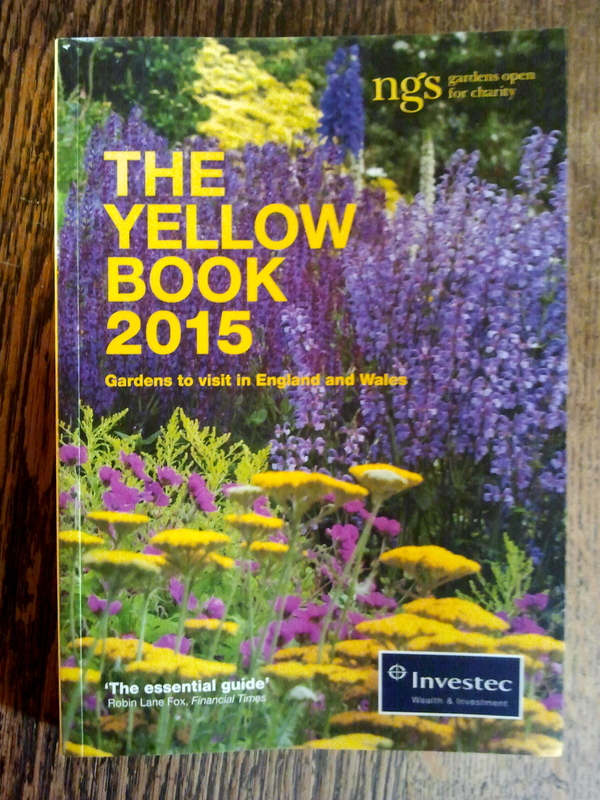 The Yellow Book is a compendium of gardens – mainly private – that open their gates to the public on certain dates of their choice: it is run by the National Gardens Scheme (NGS). People pay to come in and all the money is collected and distributed to a raft of charities. These include Macmillan Cancer Support, the Carers’ Trust, Hospice UK and several more. Starting in 1927, it has raised 42 million pounds over the years. We feel it a privilege to be part of this wonderful organisation. As a child I used to visit NGS gardens with my parents, it fired my enthusiasm and love of gardening. I never thought that I would be the proud owner of one of those yellow ‘Garden Open’ posters myself. You have to be ‘selected’ by your local county organiser and this is a bit alarming – quite a few are turned down. When it was our turn, our ‘CO’ arrived with a Japanese film crew who were making a programme about the NGS! It had been a dry summer, but annoyingly it rained that day, and when we passed the inspection (much relief) we all ended up in the kitchen toasting our success with whisky. Most of the gardens provide tea and home-made cake and also have plants for sale, which adds to the pleasure. We now have live music on all our four afternoons and this has proved to be very popular. Our ‘openings’ require a good deal of organisation and we are very grateful to our team of wonderful friends who serve teas, sell plants, man the ‘gate’, direct the traffic and play ‘music for a summer afternoon’.